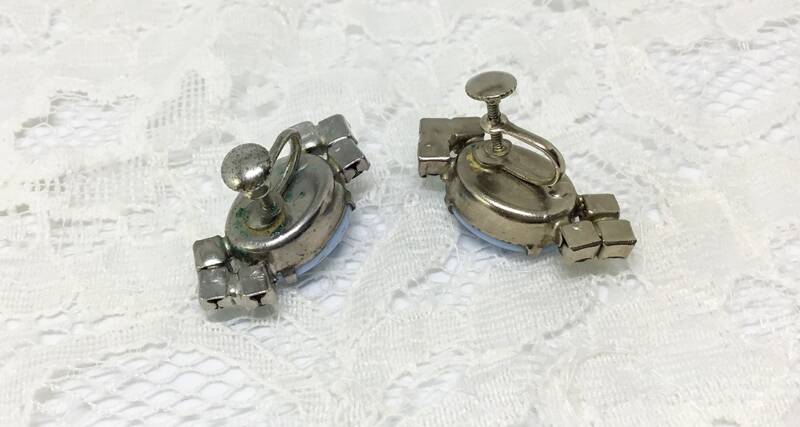 This is a sweet pair of silvertone 1950s vintage screw back earrings. 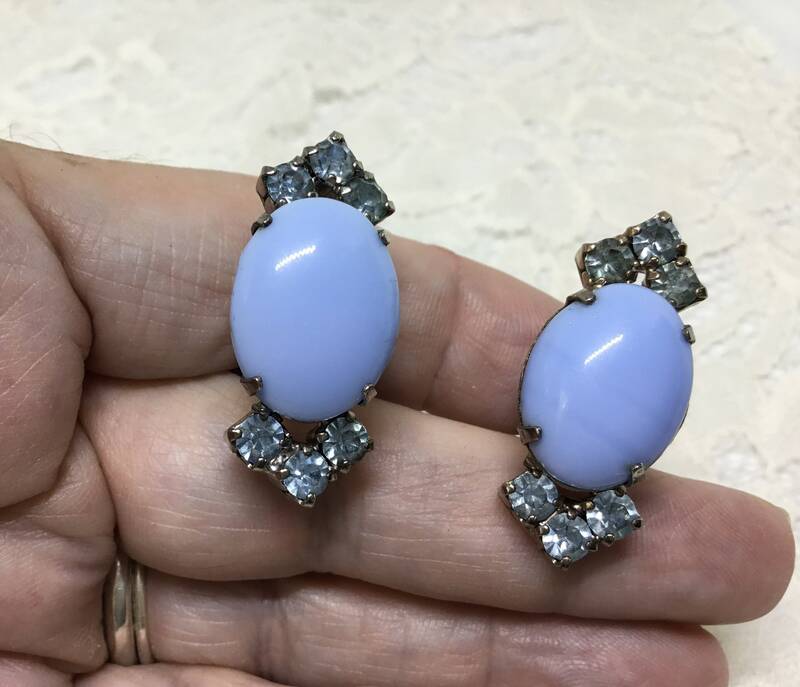 The center stone is an oval solid robins egg blue glass or stone cabachon that is prong set. 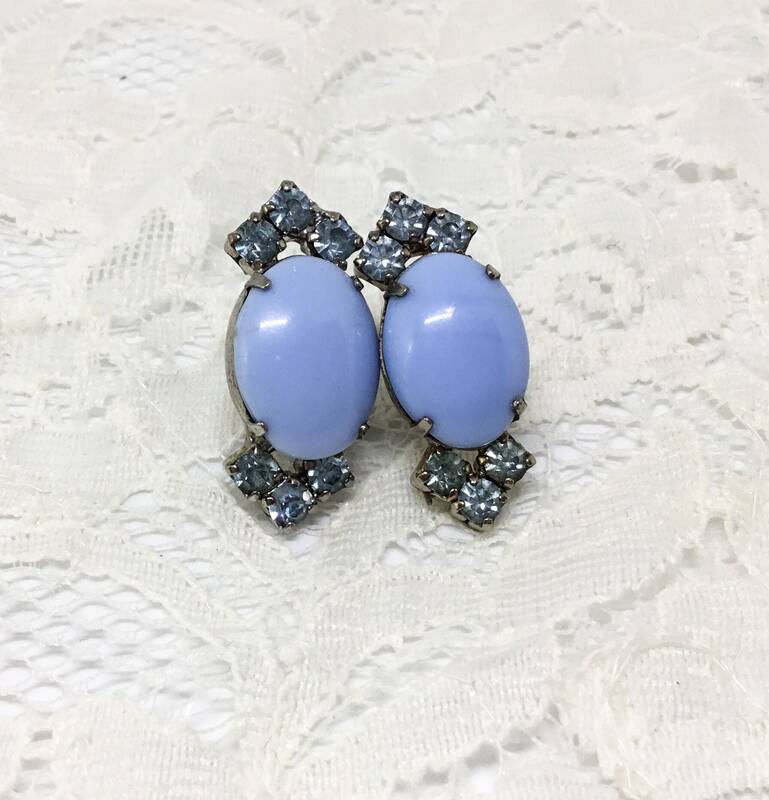 There are six light blue faceted and prong set rhinestones - three at the top and three on the bottom. The setting is silvertone and the back is a screw on that is in great shape. 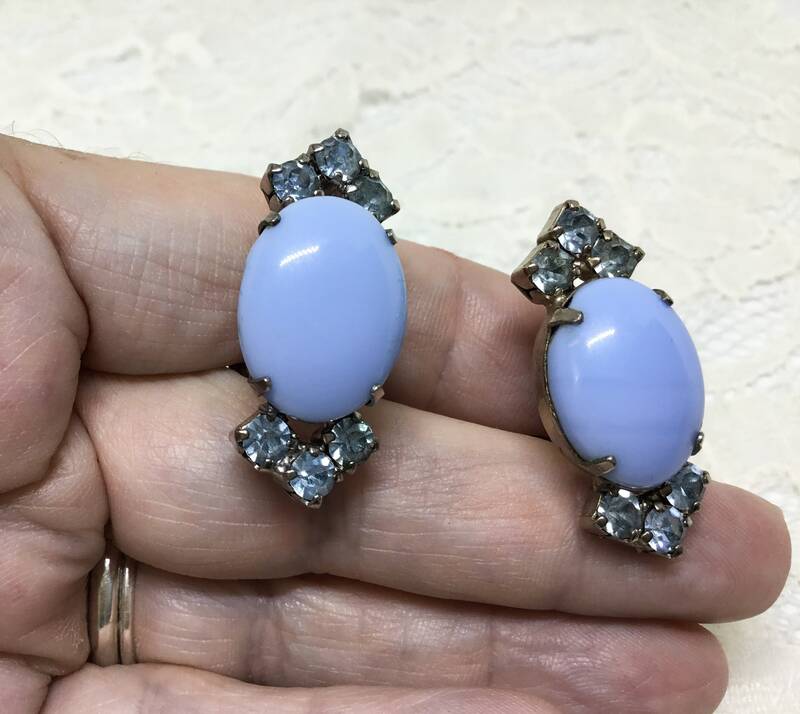 There is vintage surface wear to the back of the earrings. They measure 1 1/4” x 1/2”. 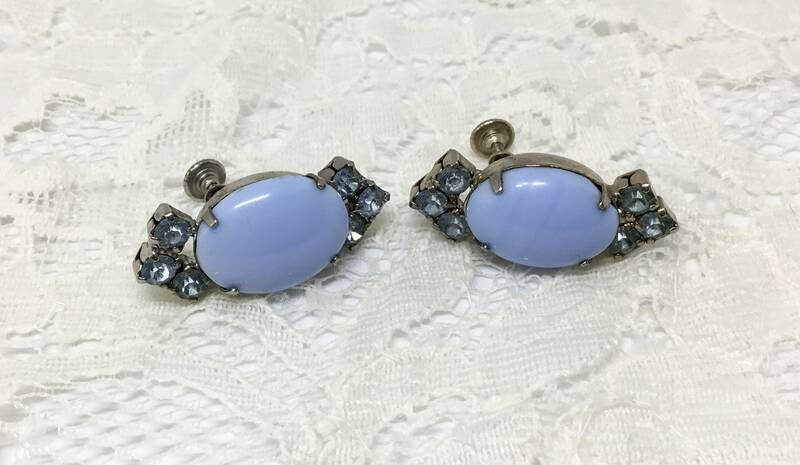 A great example of 1950s costume jewelry in a luscious shade of blue!